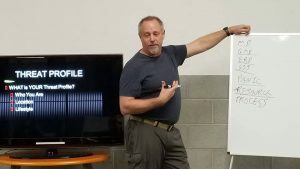 Silicon Valley Karate hosted internationally-acclaimed self-defense expert and author Mr. Rory Miller on Thursday, April 12, 6-9pm for a special workshop. Various subjects were discussed and trained. The second subject was counter-ambush. Dealing with the suckerpunch. It included a bit on power generation, because that just makes everything work better. Please see here for a selection of books by Mr Miller. 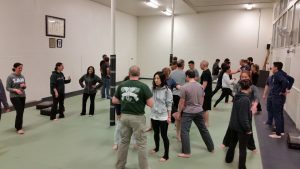 Silicon Valley Karate’s Chief Instructor, Sensei Jon Keeling, has spent much time training with Mr. Miller over the years and conducts monthly self-defense classes here in Palo Alto.